There is a lot to like about a Universal Basic Income (UBI). Especially if you consider yourself to be a conservative who is also compassionate. Compassionate conservatives have always agreed with liberals that there should, in principle, be a social safety net, so that the less fortunate among us can only ever fall so far. The problem they see is that, in practice, these social safety nets tend to get abused – and the cost of this abuse makes the social safety net prohibitively expensive. They might be right. Almost all social policies suffer from the law of unintended consequences. These unintended consequences can mitigate the effectiveness of the policy and exacerbate the cost of the programme. Case in point: welfare for the unemployed. Many would agree that this form of social insurance can play an important role in our society. Recessions and restructures mean that any one of us could find ourselves out of a job. Unemployment benefits ensure that our families will not go hungry while we search for a new job or career. The problem is that you only get your full welfare payment while you remain unemployed. This creates a strong disincentive to take any low paid or part time work that may come your way. Once you take into account the loss of welfare income, the effective income you make by going back to work can be very low indeed. So low that it may not be worth your while to take the job. What was intended to only be a temporary solution turns out to be permanent. A universal basic income changes that equation because it is given to everyone with no strings attached. You get the UBI regardless of whether you chose to work or not. It therefore minimizes the incentives that discourage a welfare recipient from re-entering the workforce. The UBI can be implemented alongside tax reforms to address other unintended consequences of the tax code. In his book The Big Kahuna, Gareth Morgan suggests that a UBI of $11,000 per year be accompanied by a flat tax rate of 33% on all income (including capital gains). Our current progressive taxation regime ensures that top earners contribute proportionately more through marginal tax rates that increase with income level. The first $14,000 you earn per year is taxed at 10.5%; each dollar earned between $14,001 and $48,000 is taxed at 17.5%, and so-on. And if you earn any income over $70,000, it is taxed at 33%. A flat tax rate changes this equation too. It does not matter how much you work – each dollar earned will be treated the same. The Act Party has long advocated a flat tax for this reason. And some of you may recall that Sir Roger Douglas tried to implement a flat tax rate in New Zealand during the 1980s reforms before the Prime Minister got wind of it. However, a flat tax in conjunction with a UBI still ends up being progressive. 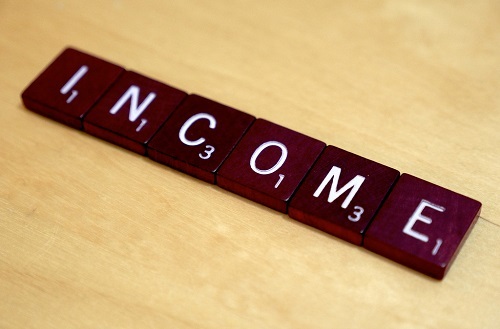 Although each person’s marginal tax rate is the same no matter how much they earn, their average tax rate on all income – including the tax-free UBI - increases with their income level. Someone earning $90,000 would end up receiving $101,000 after including the UBI, and would have an average tax rate of about 30% (paying approximately $30,000 in taxes on an income of $101,000). Meanwhile someone earning $15,000 would end up with $26,000 after the UBI, and therefore have a lower average tax rate of about 19% (paying approximately $5,000 in taxes on an income of $26,000). The UBI also reduces the need for other policy instruments that are intended to help low income individuals, such as the minimum wage. Minimum wages can do more harm than good because they can discourage firms from hiring workers. In fact, Deirdre McCloskey – a champion of free market economics if ever there was one – tells us to support minimum incomes over minimum wages. Private enterprise could also get on the UBI bandwagon. Obviously there are many additional details that would need to be ironed out before implementing a UBI. That is why we need a thoughtful and substantive public debate on the issues from people on both sides of the aisle. But at this stage, the concept holds promise because it achieves many of policy goals that are cherished by liberals - without creating many of the unintended consequences that have long discouraged conservatives from supporting social welfare. Conservatives around the world - from Barry Goldwater to George W. Bush - have often worried that they come across as heartless. The UBI proposal provides a chance for kiwi conservatives to show that they care too. *Ryan Greenaway-McGrevy is a senior lecturer at the University of Auckland in economics. Prior to that he was a research economist in the Office of the Chief Statistician at the Bureau of Economic Analysis (BEA) in Washington DC. As long as taxes on capital are never introduced and the only tax to be raised thereafter is consumption tax I'd be in favor of this UBI. "In his book The Big Kahuna, Gareth Morgan suggests that a UBI of $11,000 per year be accompanied by a flat tax rate of 33% on all income (including capital gains)." That's not how I remember Morgan suggested it be paid for. He suggested a tax on capital. With the assumption that capital could earn 6% and that "income" would be taxed at the prevailing tax rate. However, in these days of ZIRP/NIRP, I guess 6% is not realistic anymore. ..yes but if it was taxed at 6% of market value it would self correct to a new lower market value. Great way of eliminating land banking and overpriced houses. Thats why it won't happen, the vested rule. A UBI is one step closer to communism!!! The study of economics in isolation is dangerous territory! Unintended consequences is nothing more than an excuse for people who are lazy thinkers as they use this term to cover their butts when things go wrong. People who claim the UBI is a good concept need to be pulled up for the brainwashing they are undertaking!! ...the stealing is being done by the 1%...follow the money. A UBI is one step closer to communism!!! kind of. It is actually a last gasp by the rich and powerful to keep the proletariat in their place, and dependant. it is the hallmark of failed right wing economics and is only being discussed because no one in a position to influence the law makers or to educate the public wants to publicise that the last 30 years of economic transformation has achieved nothing other than make the rich and powerful more rich and powerful while reducing everyone else's living standards and wealth. This discussion is a new way to introduce slavery by stealth, because the UBI will not be paid for nothing! People will eventually be made to work, probably in BS jobs not requiring any skills for sweet FA. Actually not too far from the reality today. This debate should actually be about the validity of the current economic models, what they have done, are doing, what the future holds under them and what the alternatives are. Here is a start; this suggestion is a last gasp flailing of failed right wing economics that are designed to preserve the wealth and privilege of the rich and powerful. These vested interests have corrupted several generations of politicians into enacting laws that have enabled them to grow their wealth at the expense of the majority. The current situation has begun to reach the breaking point, because politicians are either not smart enough to see the problem and then begin to identify solutions, or simply do not have the courage to say enough and start putting regulation in place to protect the average man on the street. The TPPA only furthers the interest of the multinational conglomerates and will further entrench current attitudes, despite what Obama says and wants. He is overwhelmed and conned by his advisors who, funnily enough are all rich and/or powerful! What we need is for our Government to put any legislation for the TPPA on hold and take a fresh look that questions how we can (a) preserve the jobs we already have, and (b) create new ones to get the majority "unskilled" population into work where they can afford a decent living standard, stop populating our prisons and crime statistics. This would essentially turn our current system on it's head, but it will start sometime, the question will be whether it is with or without blood. UBI would stave off a worker revolution. I think most Governments have forgotten what happens when people are unhappy with their Government and are starving in the streets. Things get really serious. NAFTA destroyed manufacturing in the US. TPPA will likely do more damage to the US economy and send it further towards being a capitalist economy. We do need to stop the trend towards a feudal economy. We have the technology to lead a much better lifestyle than 150 years ago, there's no need to reverse progress. Next the National Party will want to take our refrigerators and washing machines. Running a business is a communist venue. All employees are there to act for the best interest for the business. Most businesses are centrally planned either by one leader or a board. By your logic businesses should be a democracy because communism is bad. That's a ridiculous idea and this isn't the 1950's to 1980's. UBI would lead to a lot more consumer spending which would improve tax take from GST. Why do you oppose consumerism when you are talking about small businesses and workers? There are already underemployed workers that are cycling on and off benefits. Those workers are hurting and the businesses don't make enough to employ them for longer hours. I've done the math on UBI and it's not that bad. If you hate it so much then you must also be opposed to our superannuation scheme which is just a form of generous UBI. You appear to be the lazy thinker and severely brainwashed. Perhaps instead of making personal attacks against those that support UBI (which is exceedingly lazy and shows you have not spent any time thinking about it) you could contribute to discussion. Running a business is a communist venue. disagree. Democracy will not work in a business, but some worker voice will benefit. What most business owners or organisational managers do not accept is that most workers have at least as much invested in their business as they do. Let me explain; a business owner generally owns the assets of the business (I'm ignoring the predatory fleecing by the banks) and if the business fails, retains those assets, plus (or) has the nous to start a new one, or skills to be employed by another. but if the business fails, the workers stand to lose the homes (assuming a mortgage) and will need to find another job in a competitive market, with limited skills. Thus a business must be a dictatorship (you must be proud), but a benevolent one will provide the most return. These are simple and positive concepts. If only central and local government comprehended these ideas. Corporations are more fascist than communist for good reasons. Nature itself is kind of fascist when you think about it. There really is no alternative to UBI that I can see. Automation will continue to wipe out unskilled labor but the big change coming that isn't often discussed is AI. Machine learning will creep up through the more skilled jobs in time, starting with transport and logistics and eventually moving through to basic healthcare. All the existing wealth will still be there and productivity will continue to improve but the current means of wealth distribution (doing "stuff" for 8 hours a day) will be gone. Why not get started with the project now? There is an alternative to UBI rjf. And that is ensuring that ownership of business and property remain with the people that use them. UBI is just a sop to continue the concentration of power and money in the hands of very few. The UBI is a sound idea. It's still a skeleton concept and could be improved for long term efficiency and moral hazard with a few obvious tweaks. Facts are, that capitalism works best when it is empowered; so if you think anarchy is the best form of free markets, you've missed half the headline. Free+markets. Markets need rules, governance, and consequences. Capitalism isn't capitalism if there isn't capital. Money is like manure - sh!t grows better when spread around (and people have a chance to participate). Some will take the p!ss - but they already do. But what you don't want is people stuck in a stupid job, just because it pays enough. It's a tax on them, their employer, and their consumers. Better to release them to go be creative. Or get out of the way. Anyone who's ever employed people know that your top 20% of employees do 80% of the value. I'd say it's more extreme. So let's stop pretending everyone pulls their weight. They don't. They get in the way, and have meetings about it. Giving a couple $400/week for doing nothing is a good idea - but you have to factor in the inflationary impact of that, and the marginal propensity to spend. Who knows, they may move to Bluff, and relieve the Auckland housing market. People making $200k a year from having a monopoly on a 4 bedroom house. You're nuts if you think that's added anything to the country... all that proves is that they can sustain higher mortgages - and noone benefits from higher land prices - apart from the xenophobes out there who don't want anyone moving here. If we've got the highest land prices in the world, they wont. I remember 10 years ago, paying over NZD 21m per acre for my house. Mad. But that's what it was. And it's gone up since then. The last house I made an offer on was even more than that. So - if you can grasp the concept that you build a road for everyone to enhance labour mobility, then you can grasp that you build a financial freeway for capital mobility. It's even better.. because now a delinquent in the street has something to lose. A bum with a spray can does $5,000 worth of damage to a house? Well - there's a 50% tax on their income for a year. repaid. These guys now have something to lose, other than their time - which they don't really value anyway (because no-one else does). In fact - Jail is quite convenient - and may be where all their friends are. I think if we would like to overcome deflation as well as a stable economic progresses, it will be a combination approach of all of the ideas of socialism, capitalism and with a little of autocracy in the policies. In supporting the ideas of UBI from socialism perspective government should define the basic national cost of living each year and tweak those basic payment accordingly. In this case, you might find more fellas will feel comfortable to live out of big towns individually or collectively as the benefits will be same for all. Thus it will reduce the risks of pressures on housing and earning affordability etc. That also means more kiwi lands are going to be used and cultivated. People's lifestyles are expected to be changed with more small businesses created in the new suburbs. In terms of capitalism and taxes, it should be individual's tax code when the tax going to be collected. On top of that business runners are taxed further 3-5% depends on the stakeholders' income. This can be accommodated with the currently $28 billions of social security and welfare spending. Additionally, govt should re-design effective employment enablement program and the refugee training to educate them the kiwi culture in order to opt-in to the workforce as per their ages and abilities. Now when the word autocracy comes, the scheme would rather be an e-money (electronic money), which is supposed to be partially paid and restricted to the eligible commodities/products, which are produced or owned by New Zealand. The e-money has also restrictions of expiries if not spend up to a certain amount of time. This would eventually, help to flourish our own kiwi products prepared and ready to fly overseas in future. Additionally, government is going to get an inflation which will be updated at the next year's UBI.